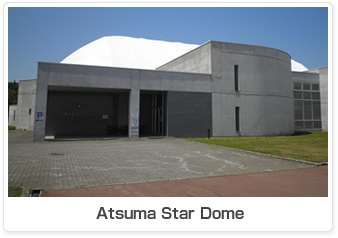 There are several sports facilities in Atsuma, and one of them is a sports dome "Atsuma Star Dome” where is in Kashiwa park. 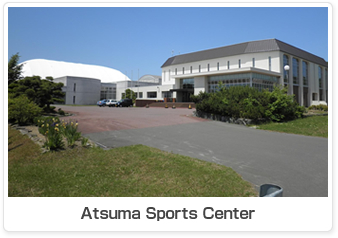 This facility was built as all-weather sports dome surrounded by green in Kashiwa park, Hongo to enjoy indoor & outdoor sports, conferences and various events under rich natural location. Without being influenced by the weather and season, it is a facility that is familiar to many people widely as a place of health promotion for residents and as a place of exchanges and friendship. Judo hall, archery hall, meeting rooms and conference rooms are equipped indoor. There is a baseball stadium as another facility to Atsuma Star Dome” This facility is available during the day, as well as at night because of the equipment for night game. The facility can be used not only baseball also for other than baseball.